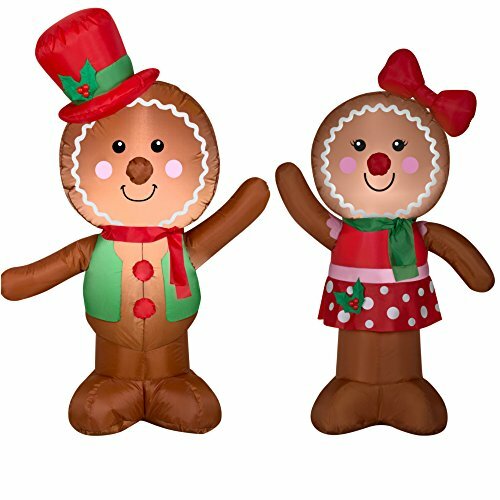 Be the best decorated house on the block this Christmas season with these cute 2 set inflatables. The set includes (1) 4 foot tall Gingerbread Girl, (1) 4 foot tall Gingerbread Man. Each inflatable comes with (2) Base stakes, (2) Tether Stakes & Ropes, (1) inflatable fan, and power supply. If you have any questions about this product by HolidayTime, contact us by completing and submitting the form below. If you are looking for a specif part number, please include it with your message.